This two-tone green and white 1952 Chevrolet Styleline Deluxe Bel Air 2 door hardtop is a nice, straight, solid car ready to be restored. It is a very complete car. 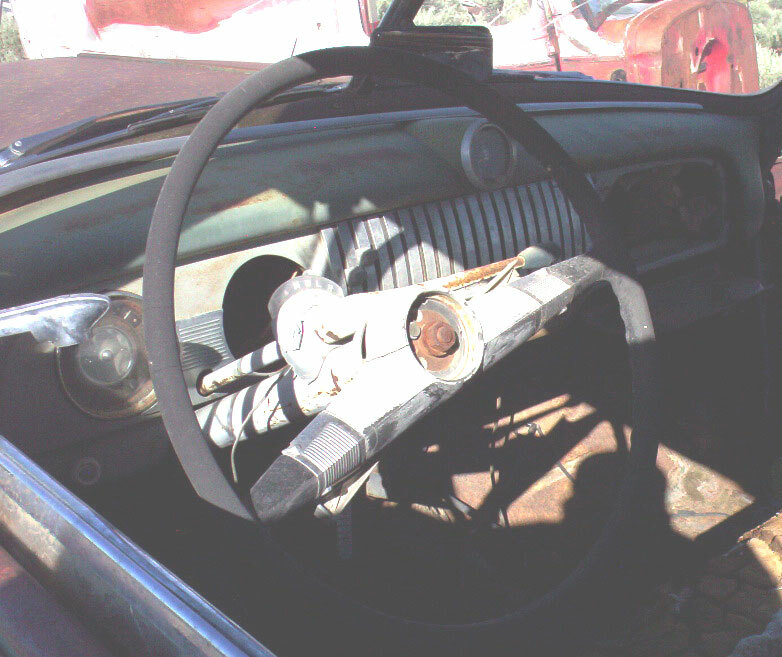 It is an early 1952 with 1951 side trim. The right door has a new skin. The car has after-market spotlight, rear radio antenna and top rear quarter trim. The tail light assemblies,hood and trunk ornaments, rear center and right glass and rear bumper guards are missing. The skirts are missing. The front glass is good. The grill and bumpers are good. The interior is more or less all there. 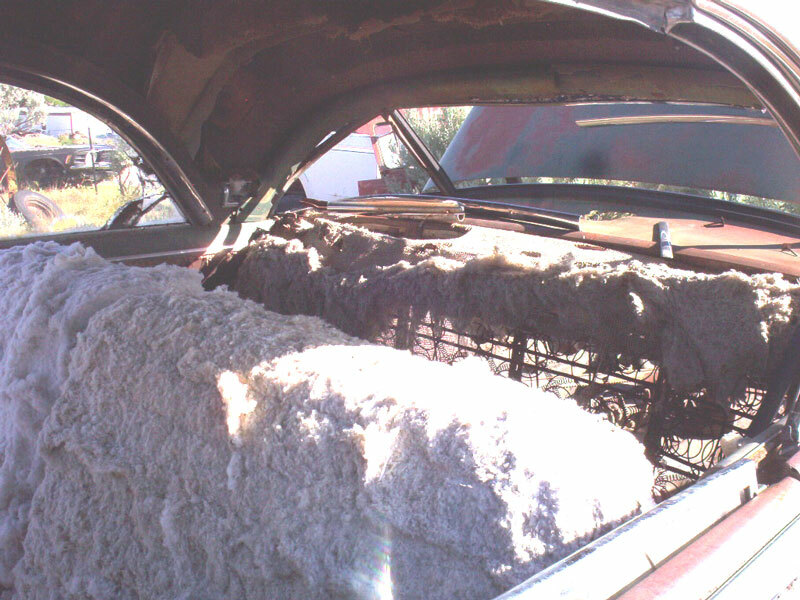 The seat cores are there. The gauge cluster is missing. 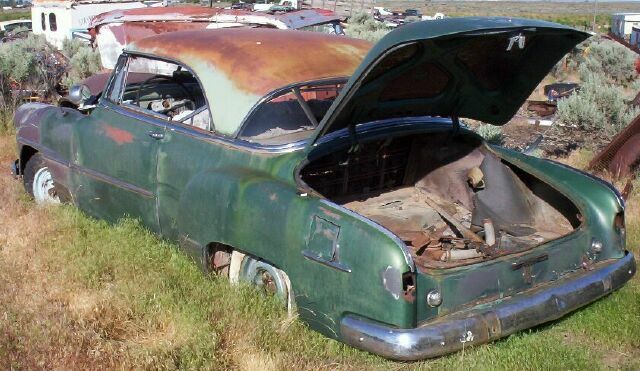 This is the last 52 Bel Air 2 door hardtop we have left and good one's like this are very hard to find. 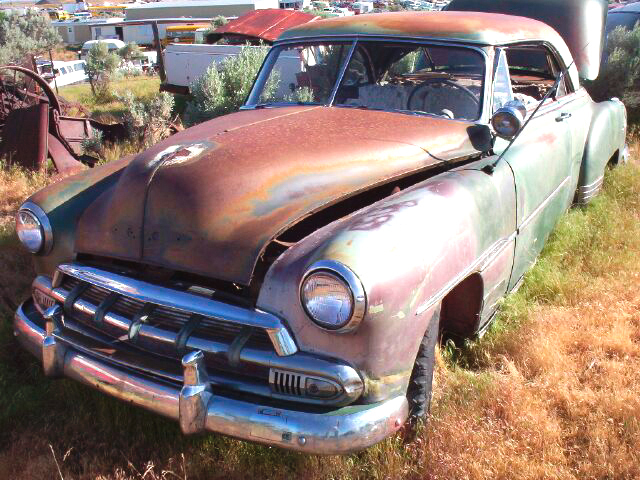 Please call (406) 318-0270 for details about this 52 Chevy Bel Air or fill out the Information Request form to receive details by email. For sale $6,000.